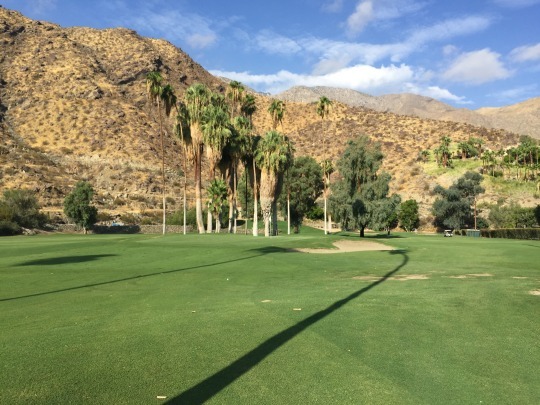 This past Sunday, I had the rare opportunity to experience a true piece of golf history in the Coachella Valley. 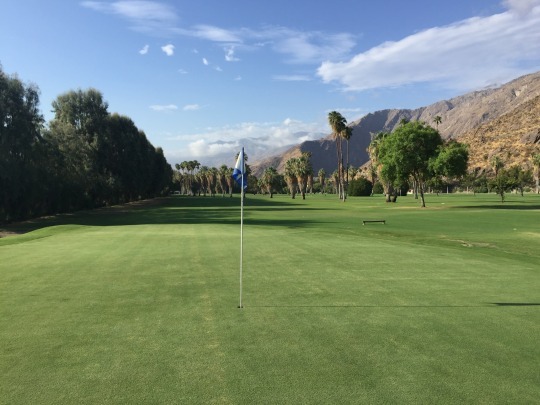 O’Donnell Golf Club in Palm Springs is the oldest active course in the valley, with its roots dating back to the 1920s. 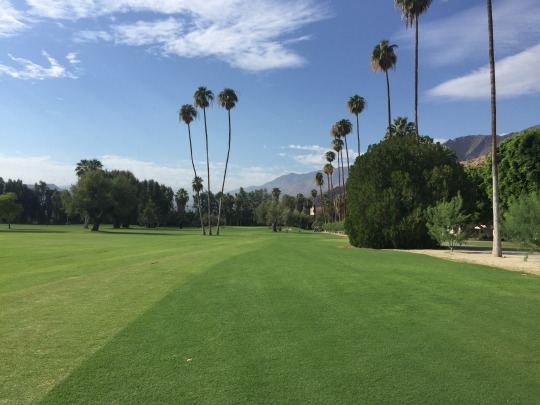 O’Donnell is a private club with a very small membership base, so it’s one of those clubs where you don’t stumble upon many local connections or opportunities to get a guest invite. However, I was lucky enough to find a way. I’ve mentioned my email campaign this summer, which has produced some great invites at private clubs. O’Donnell is one of the few that did get back to me with permission to come out and play during the slow summer months. I set up a “tee time” for Sunday. I used quotes because they actually don’t have tee times here. The walk-on attitude is all part of the appeal of an older and pretty simple club atmosphere. They told me I could come out any time after 8:00 and I was able to bring some friends along to share in the experience. There were a few groups out playing, but we had no problem getting out and enjoying a quick round on a beautiful late summer morning. O’Donnell is only a 9-hole course, playing to a regulation par of 35. There are separate tees for front and back nine play. We opted to play the back nine (red) tees since it made the short course play just a little longer (2,709 yards as opposed to 2,601). 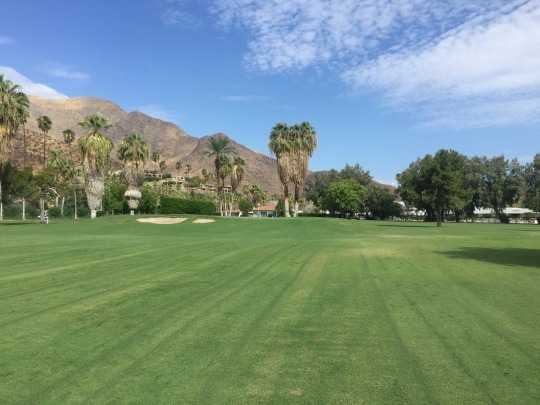 As the story goes, players back in the day used to use the O’Donnell nine as the front nine and the Mashie course at the old Desert Inn as the back nine when they wanted to play a full 18 holes. 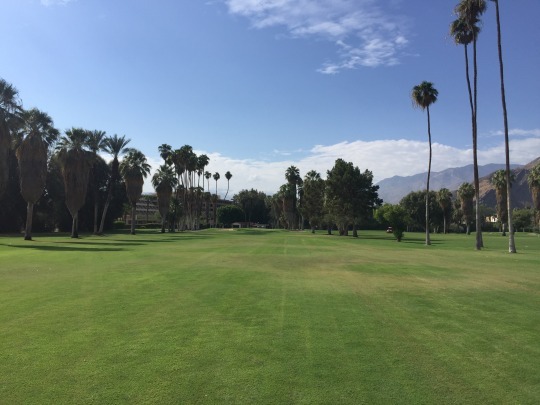 Check out this cool article about the history of desert golf. This land located right at the base of Mt. 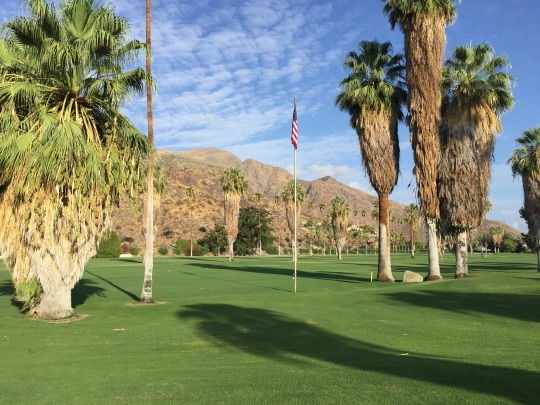 San Jacinto and near downtown Palm Springs was originally purchased by Tom O’Donnell, who was an oil tycoon. Early on, the course was more of his private playground and eventually it evolved into a small private club. 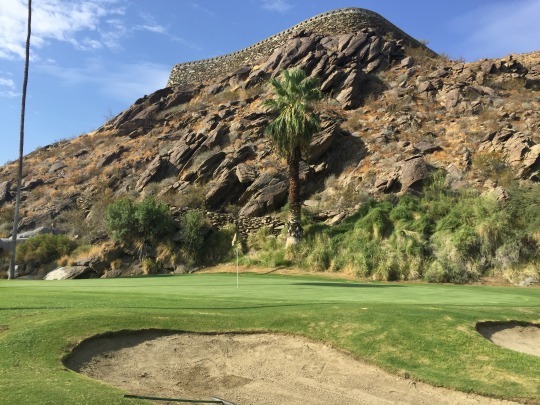 On the hillside overlooking the course, there is a cool hand-built rock wall that almost looks like a castle wall. 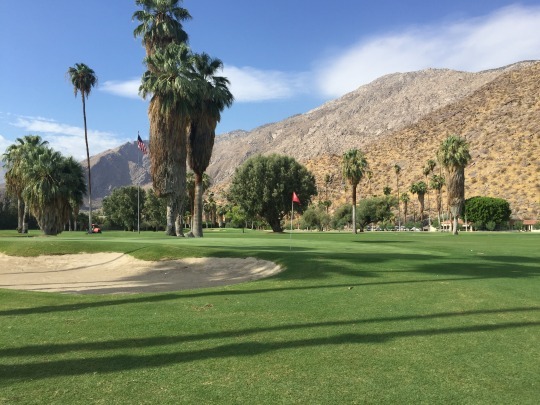 I asked the guy working the pro shop and he said that area is part of a private road and it was intended to be Mr. O’Donnell’s final resting place with a crypt built into the side of the mountain up there. Ultimately, the city wouldn’t allow a burial there, so now it is just kind of a tribute memorial overlooking his beloved course. This link I found shares a pretty good history of that mysterious wall. The layout of O’Donnell is pretty simplistic and old school. Though it is situated right at the base of the mountain, the property is flat and most holes are pretty straightforward. The best part of the course is the stretch of holes 3-5. The 3rd hole is a pretty straightforward par-3 playing back into a small cove with the hillside right behind. 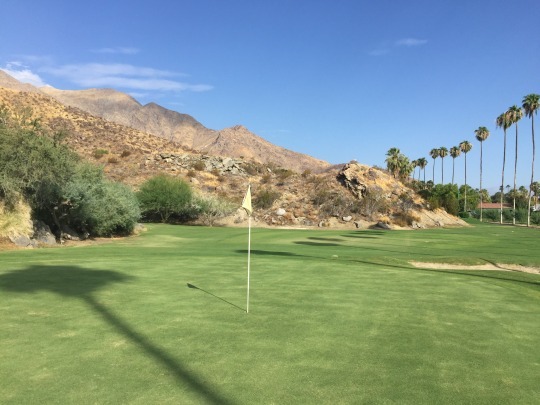 Then, you go up the only hill on the course to tee off for the very short par-4 4th (just 250 yards from the red tees and only 207 from the whites). The 5th hole is quite unique and offers the kind of quirkiness you can only find on a really old course like this. 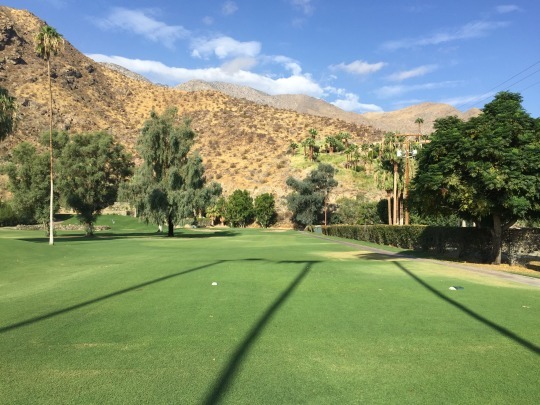 It is built right along the hillside and it’s actually a completely blind shot from the tee. 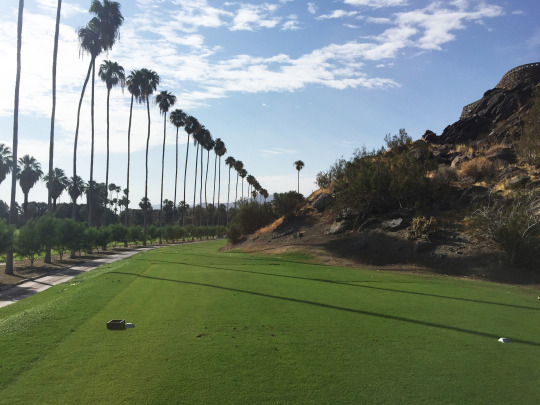 You have to hit over the corner using a lone palm tree as your aiming point behind the green. Things are fairly wide open around the green, so it’s not a difficult hole. It’s just interesting to have a totally blind par-3 shot. 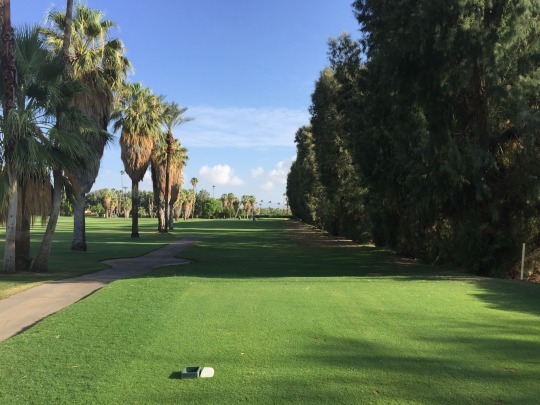 Adding some cool factor is the row of palm trees running along the left side of the hole that kind of serve as a border between it and the next hole running parallel to it. The 6th is a dogleg right par-5 and the tee boxes are right next to each other. 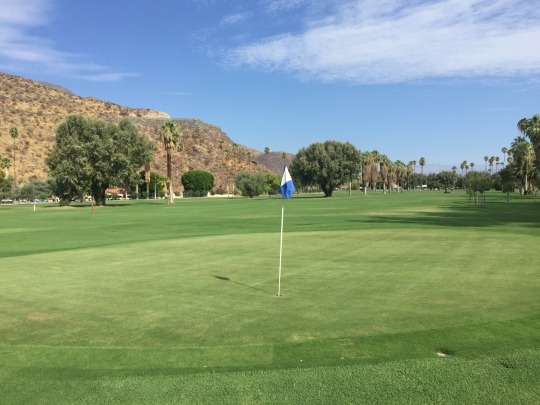 The course was in very good overall condition for late summer. The tee boxes, fairways and rough all had lush coverage. The grass was a bit on the shaggy side, but that’s pretty common in the desert this time of year. The bunkers were excellent. The greens were soft and rolling very slow. I was informed well in advance of playing that they had a lot of heat damage earlier this summer, so they’ve been working hard to bring the greens back around. Still some work to do, but you can tell they will be great again when the winter season rolls around. 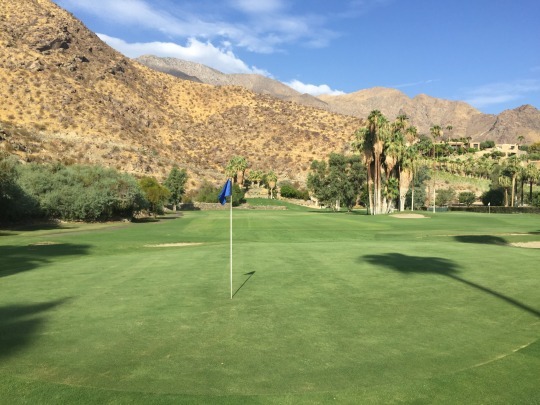 Because it is only 9 holes, the layout is fairly basic and it has such a small membership base, O’Donnell Golf Club is one of the more obscure private clubs in the Coachella Valley. Not a lot of people know it even exists, but those who do are probably dying to play it like I was. 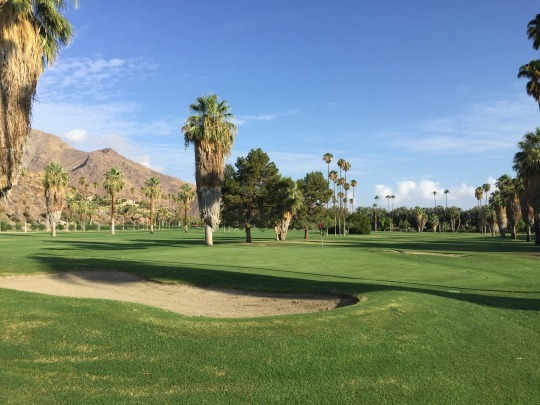 Its rich history and location make it a very important part of the local golf landscape and it should be high up on anyone’s desert bucket list. I’m personally glad I finally got to play it after moving to the desert earlier this year. It makes me feel even more connected to this community.